Tea is made from leaves of the Camellia sinensis plant, which is a warm weather evergreen shrub of the Camellia family, indigenous to both China and India. The finest whole leaf organic teas use only the top two leaves and bud of the tea plant (yep, that's where our name comes from). Tea Types: Tea, like wine, always comes from the same plant, Camellia sinensis. It is in the way that tea is processed that makes it a black, green, or white tea. Red teas and herbal teas, meanwhile, are actually not tea at all. Rather they are simply herbs, fruits or spices - often called “tisanes”. Steep Time: It’s really a matter of personal preference. Whole leaf teas take a notably longer time to reach their optimum flavor. Our general rule of thumb is 4 to 5+ minutes for herbal and black tea and 3 to 4 minutes for white and green tea, which can become bitter if over-steeped. Try steeping these for 2 min, then start sipping every 30 seconds until you find your ideal flavor. Traditional paper tea bags have a much shorter steep time - 2 min or less - because the cut of the tea is much finer. Assam tea is famous for its lush flavor and amber color. Rich brown and golden tipped leaves yield a multi-layered "malty" flavor. Flavor Notes: The Two Leaves and A Bud Earl Grey starts with a great quality, large leaf organic black tea. They add just a hint of natural bergamot to create the famous taste. Flavor Notes: This tea has all the taste of a full leaf green tea with the bonus of refreshing tropical flavors. It's excellent hot or iced. 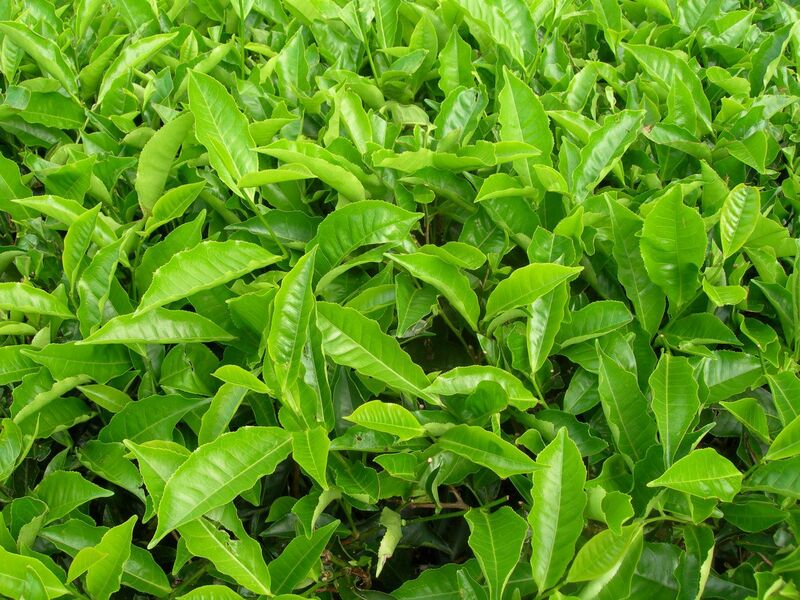 Flavor Notes: These quality green tea leaves are scented, not flavored with jasmine. The result is a divinely delicate floral aroma that lingers atop this smooth cup of tea. It makes for an otherworldly experience. Inhale, then enjoy. The Two Leaves & A Bud green tea is dried with petals of jasmine flowers to absorb the flavor. Because jasmine flowers are so much more fragrant at night, they lay them over our green tea for three evenings in a row, so that the green tea will absorb the most powerful floral flavor and aroma. Flavor Notes: Delicious little flowers — that’s our Organic Chamomile. It’s naturally sweet, relaxing and the best chamomile you’ll ever have. Flavor Notes: Alpine Berry herbal tea is naturally sweet and tart with hibiscus, blackberry leaves and orange peel. It's refreshing hot or iced. This bright berry tea brews up a jewel-toned shade of red thanks to hibiscus – popular worldwide for its tart, cranberry-like flavor. The taste of this herbal blend reminds us of a hike in the mountains of Colorado, where we live. We love it iced in the summer, or while skiing, hot with honey. Flavor Notes: The Two Leaves & A Bud organic rooibos (say “ROY-bos”), also known as Red Tea or more literally "red bush", brews up bright and earthy with just a hint of lemongrass for a balanced, rich cup. Two Leaves & A Bud calls this organic tea “African Sunset” because rooibos is grown in South Africa, where it's cherished for its woody-sweet, earthy flavor. They add a touch of lemongrass to brighten up this tea on your palate. Naturally caffeine free, the Rooibos plant is a member of the legume family. It has little needle-like branches and pretty yellow flowers. Flavor Notes: The Two Leaves & A Bud organic, large-cut peppermint leaves are both crisp and buttery. It's the best you'll ever experience. Two Leaves & A Bud sources their organic peppermint from a US farm outside of Lake Moses in Eastern Washington State where the climate is hot and dry and the farm is irrigated by water from the Grand Coulee Dam. The fresh, pure aroma of this 100% pure peppermint will lift your spirits and quiet your mind. Flavor Notes: Strong but sensitive — we like that in a tea. The Two Leaves & A Bud Darjeeling has light, but rich, body with floral overtones. Flavor Notes: For a twist on a Japanese favorite, we start with whole leaf sencha leaves and add the tang of Italian red oranges. Sencha is a Japanese-style tea, which means tea leaves are gently steamed as they dry. We pep up this delicious green tea with the zest of oranges. It’s a classic green tea that will perk up your taste buds and your mind. Infuse your water and your workout with this organic, caffeine-free blend of fruit and herbs, carefully chosen for hydration. It's slightly tart with a splash of mint on the tongue and a satisfying, sweet finish. Hibiscus slays your thirst, spearmint has cooling properties and helps relieve fatigue, licorice root increases energy, while black currant and rosehip help with aches and strains. Deeply drinkable. Powerfully restorative. Orange and pineapple give this tea a tasty, tropical fruit edge. It finishes with a pleasant green tea astringency. For work or play, we've gathered ingredients to help boost your energy while keeping stamina in mind. Green tea provides the right amount of caffeine (not too much) for get-up-and-go; ginseng helps with focus and lowers stress; and ginger is an anti-inflammatory that reduces weakness and fatigue. Go get 'em! A sweet lime aroma followed by big berry flavors, earthy-rooibos, and a hint of spice at the finish. Your taste buds are nodding. This purpose-driven tea is packed with 14 powerhouse ingredients you can use after a big workout…or a big night, for that matter. The rooibos, ginger, spirulina, hibiscus and other herbs and spices in this organic blend are known to restore electrolytes, reduce inflammation, support good digestion and provide an antioxidant boost. Down the hatch! A zesty citrus aroma followed by an enlivening balance of lemongrass and peppermint for a bright, clean finish. If your day needs a pick-me-up, look no further. These lovely, organic herbs have long been used for a healthful boost: Peppermint for concentration and blood pressure, lemon oil for positivity, lemongrass for digestion, rosehip for regulating sugar levels, and nettle for immunity. Get a spring in your step, without the caffeine buzz. • Real spices at the bottom of every cup. • Ingredients: Organic dry cane syrup, Milk powder (Concentrated nonfat milk, cream, lactose, sunflower lecithin, Vitamin A palmitate and Vitamin D3, Tocopherols (a natural source of Vitamin E to protect flavor)), Instantized black tea, Organic spices, Ginger. • Our green tea chai is inspired by Indian's Kashmir region. Green tea, cardamom, saffron and almonds carefully blended together for our version of the Kashmiri classic. • Ingredients: Organic dry cane syrup, Milk powder (Concentrated nonfat milk, cream, lactose, sunflower lecithin, Vitamin A palmitate and Vitamin D3, Tocopherols (a natural source of Vitamin E to protect flavor)), Instantized green tea, Organic cardamom, Almond powder (dextrose and oil of bitter almond), Saffron, Ginger. • A shot of espresso brings extra excitement to our perfect chai. Sweetened just enough, some people call it "dirty chai" because it muddies up the creamy color of chai. We just call it delicious! • Ingredients: Milk powder (Concentrated nonfat milk, cream, lactose, sunflower lecithin, Vitamin A palmitate and Vitamin D3, Tocopherols (a natural source of Vitamin E to protect flavor)), Organic dry cane syrup, Instantized black tea, Instantized coffee, Organic spices, Ginger. Brew if up for yourself, the way you like it. Tenzo's Matcha Premium is USDA Organic and has no sugar, and no artificial or natural flavors leaving you with 100% Matcha Green Tea. Tenzo Blueberry is a dream come true. Make a full cup or sprinkle a teaspoon into your smoothie - either way, you'll be off to a good start. 100 grams makes 20-25 cups. Tenzo Raspberry is a dream come true. Make a full cup or sprinkle a teaspoon into your smoothie - either way, you'll be off to a good start. Transform your Matcha game with this Brew Bundle - complete with a specialty Bamboo Whisk and Porcelain holder, plus your very own Bamboo matcha scooper.